Yorba Linda Store Opens April 13! Join in on the fun as we create and share our favorite recipes for every occasion. Menus are always a surprise, but the class themes offer clues to the recipe selection. Experience tasty dishes perfect for family suppers, holiday dining, special parties, or casual gatherings. During each class, you’ll learn how to prepare each recipe and enjoy a complete meal when the cooking is done! Hope to see you in class where great food and good friends meet! 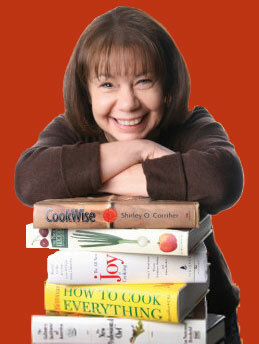 Cooking Classes Make Great Birthday and Anniversary Gifts! Purchase Gift Cards in our stores and your friends and family can redeem them for the registration fee! Quick, tasty and easy! Enjoy a complete meal prepared during your lunch hour! Relax and watch us cook dinner for you! Menus perfect for dinner parties and Sunday supper with the family. Something savory, something sweet and of course a pot of tea! Our teas feature traditional and updated recipes to enjoy anytime! Forget about fast food and learn to cook real food in our kitchen! During these HANDS ON classes, young chefs learn to prepare delicious recipes for breakfast, lunch, dinner and much more! Contact gmjohnston@bristolfarms.com to make a reservation(s). Please provide the selected class date(s), student name(s), home address and phone. RSVPs will be confirmed with either a return call or email. Reminder notices will not be distributed, therefore, be sure to mark your calendar! Grace-Marie’s Kitchen is on the 2nd floor of the Bristol Farms located at 1570 Rosecrans Avenue, Manhattan Beach, CA 90266. Both an elevator and steps provide access to the classroom location. Registration fees (cash, check, credit card or Bristol Farms gift cards) are collected on the class date in the classroom. Adult demonstration classes are 2+ hours and child hands-on classes are 3 hours. Class recipes are designed for the home cook (beginner through advanced). Menus are not published in advance as we have “mystery menus”. Recipe packets are distributed at each class. All classes are full meals, so come hungry! Bristol Farms Gift Cards can be purchased at any of our stores and later redeemed as the registration fee for our cooking classes. This allows the recipient to personally select a class which best fits their availability. Prior to any class, students must provide a 48 hour notice of cancellation directed to gmjohnston@bristolfarms.com. Failure to provide such notice will result in an mailed invoice for payment of the class fee. get tasty stuff – savings, recipes & more! Sign up now for exclusive access to weekly deals, special offers and recipes. Receive coupons and more straight to your door when you sign up for our direct mail flyer. ©2019 All rights reserved. Bristol Farms. Website by DW Green Company.